In recent years tourism is expanding taking a new shape of medical boom and is spreading throughout the world known as medical tourism. You can enjoy vacation and also could get medical treatment is the most attractive theme giving by travel agents to attract tourists.Iceland is one of the most popular medical tourist destination. 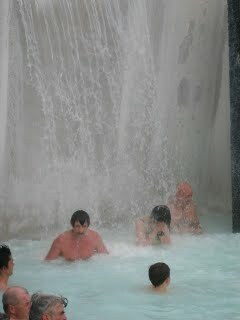 Medical tourism is very popular in Iceland due to its large number of medical spa. And if somebody went to Iceland tour it is not complete until they visit Blue Lagoon. Blue lagoon is the most visited attraction in Iceland. You can enjoy vacation and also could get medical treatment here. It is most natural body of water. Blue Lagoon is the most extraordinary spa in the world. The Blue Lagoon is a unique geothermal spa where you can bath in naturally heated waters.The blue colour of water comes from its rich minerals and with algae together it gives milky blue.The lagoon is not very much deep. 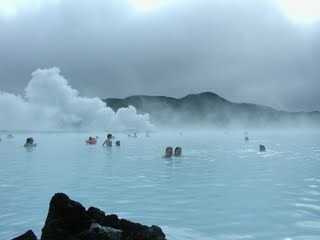 Psoriasis a skin disease can be cure by taking bath in Blue Lagoon because it is rich in minerals like silica and sulfur. The thick white silica mud is very beneficial to the skin can found in buckets,you can apply this on your face,neck and your body which draw out impurities from the skin. The water temperature in the bathing and swimming area of the lagoon averages 40 °C.whereas the temperature of water varies throughout the pool.Near the vents the water is hot at its peak.There is also a steam room,waterfalls,caves for more enjoyment.The lagoon is surrounded with lava rocks which makes water warm. After taking bath in lagoon you will feel your skin soft and relaxed. The water has curative powers. The Blue Lagoon holds six million litres of geothermal seawater, which is renewed every 40 hours. It is one of the most visited tourist attractions in Iceland and has recently won the 2009 Readers Spa Award as well as wining many other awards such as Blue Flag for Medical and Thermal Spa Facilities in the World and Environmental Awards. Blue Lagoon is only half an hour from Reykjavík and 20 minutes from Keflavík airport. A visit to Blue Lagoon definately change your hectic trip and you feel much fresh here.One should definately visit Blue Lagoon in his or her life and should experience some different atleast once in a life time.